Looking for a smoothie that combines both fruits and vegetables and still tastes delicious? Look no further! 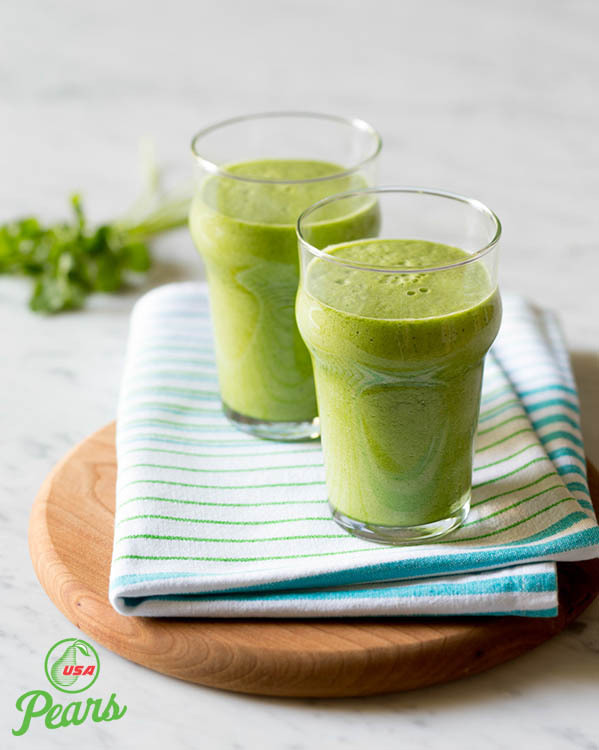 This recipe includes a full cup of spinach, making it high in iron, and includes several sprigs of brightly-flavored cilantro for a good dose of polyphenols. These flavors are balanced by the honey-sweetness of pear and the tanginess of pineapple, both of which are high in fiber and minerals. Add potassium-rich coconut water as a base, and you’ve created the perfect green smoothie. Recipe developed by Hilary Finch Hutler. Place all of the ingredients into a blender and puree at high speed until smooth.